so hard to resist..... — Pencil & Paper Co. This new Kate Spade tote is very tempting! 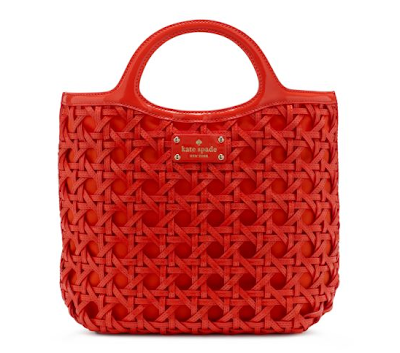 I am a sucker for just about anything in this great "lobster red" color and the "wicker inspired" leather is fabulous!! !